What’s New at Sicilian Family Tree? Use the below search box to search every page of this website, including all of the Vital Records databases. This makes it easy to quickly find what you are looking for! Over 2275 Likes on Facebook! Wow! Our Facebook following continues to grow and we now have over 2275 likes! I am just amazed at what Facebook has done in the world, connecting people from all over. I have been sharing helpful links and tips there periodically and it is nice to see that they have been helpful for people. To like us on Facebook, click the Facebook icon at the top of this page or go to https://www.facebook.com/SicilianFamilyTree. How and Where to Begin Researching? For those of you just starting out, I suggest you visit the Research Links page. There you will find loads of information about how and where to start. One item I consider a MUST-HAVE for anyone who is researching their Italian or Sicilian heritage is the book called A Genealogists Guide to Discovering Your Italian Ancestors: How to Find and Record Your Unique Heritage, by Lynn Nelson. It’s only about $15 from Amazon.com and it is well worth every cent. Good luck! 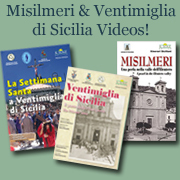 Check out this beautiful video that I found on the Visit Sicily Facebook page. This makes me want to hop on a plane right now! Thank you to Maddalena Cassata DeLorenzo, Tom Russo and Caroline Ilardo Jaworski for the pictures they have contributed for use on this site!